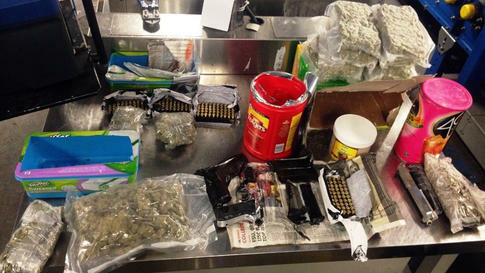 A Canadian woman is accused of packing her checked luggage full with two guns, hundreds of rounds of ammo and 33 pounds of marijuana, NBC New York reports. The TSA found the items stuffed into household items like baby wipes, lemonade mix and cat litter. 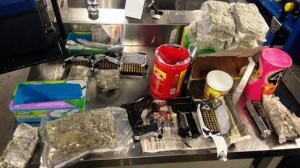 The 24-year-old woman from Scarborough, Ontario, was arrested and is expected to face drug and weapons charges. Her flight was headed to Barbados. It wasn’t immediately clear why she was carrying the guns, ammo and drugs. Posted: 9/23/14 at 8:58 AM under News Story.